I'm on Hiatus until October 16th while I get ready for my big 2 month gallery show. Until then there will be no real updates until I'm done preparing for that. 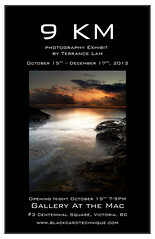 If you are in Victoria BC, Please come check out my show which will be running for two months.